In many places, electing to eat a meal outside can be fraught with peril. Outdoor dining in Alaska? Limited to just a few months a year, unless you really love snow. Al fresco lunch in Dallas? Probably not in June, when temperatures rise into the triple digits. So where can you go to enjoy a delicious meal (or cocktail) on a sunny patio any month of the year? The answer is a pretty little town by the sea on California's Central Coast. That's right, Santa Barbara is the place to go when you want to enjoy an ocean view with your meal, without all that window nonsense. Boasting over 300 days of sunshine a year and a comfortable year-round temperature average, this town is paradise for outdoor diners of all stripes. 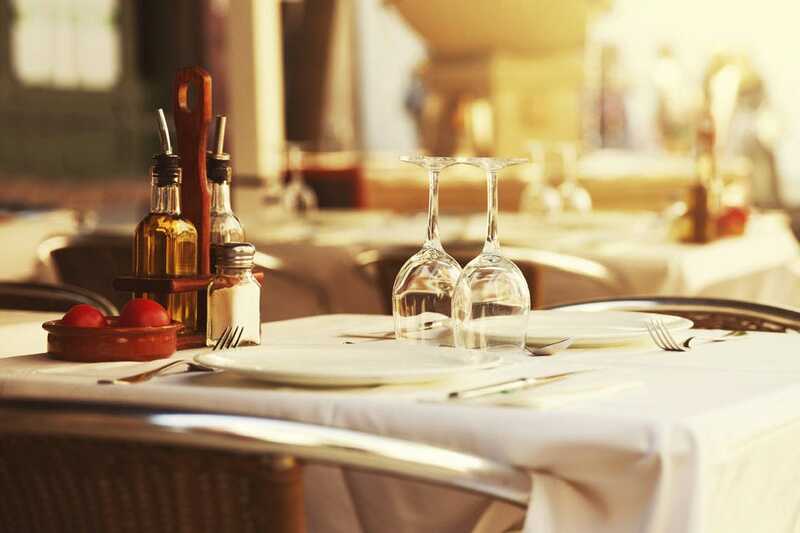 This list of the top 10 outdoor dining restaurants in Santa Barbara will show you exactly where to go to indulge in an impressive meal while seated in equally impressive surroundings. Whether you're looking for a table in the sand or a patio with a view of the harbor, this 10Best list is for you. Try to visit all 10 during your stay and let us know which you like the best! 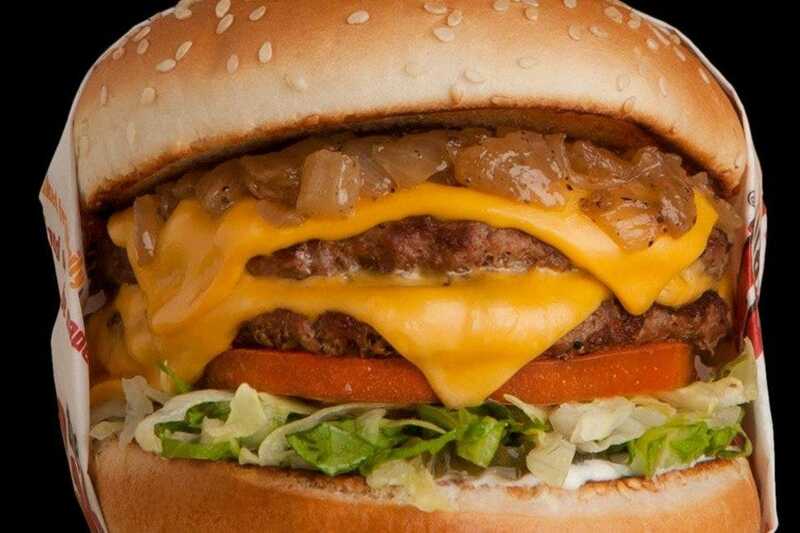 The Habit Burger Grill is a Santa Barbara-based hamburger chain that is truly a local favorite. From their signature smoky charburger to the albacore sandwich made from line-caught tuna to freshly tossed salads, the Habit serves up fresh food fast. They also have a delicious veggie burger, crisp fries, heavenly onion rings and rich, frosty malts. Established here in 1969 and still family-owned, there are now over 70 locations - mostly in California. This location is right in the heart of downtown, so it's the perfect stop if you're out shopping or headed to the movies. They also have a truck that you can rent to cater weddings, parties and corporate events. There is not enough space here to describe how truly scrumptious and utterly satisfying a meal at the Scarlett Begonia is. 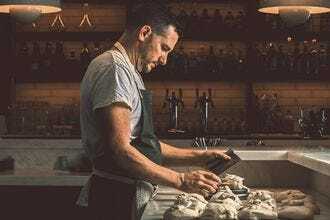 First, everything they serve is made in-house; from pastries to ketchup to pickles, it's all made just steps away in their bright and bustling kitchen. Then there's the menu: everything you want for breakfast - eggs, potatoes, pancakes - made even more delicious. Think eggs topped with aged gouda, pancakes with lemon ricotta. And of course there are tasty things you didn't even know you were hungry for to add to the confusion. Shrimp and grits with chorizo sausage? Yes, please. Add to that indulgent beverages, like maple bacon lattes, ginger limeade and watermelon hibiscus champagne soup, and you've just had a meal you'll brag about all day long. Dinner is now served Tuesday through Saturday, too. The Brewhouse is a local brewpub and restaurant located in charming West Beach. A variety of beers are brewed in house; some favorites include apricot wheat, habanero pilsner and baseball saison. They have a full bar and serve a variety of great comfort food. 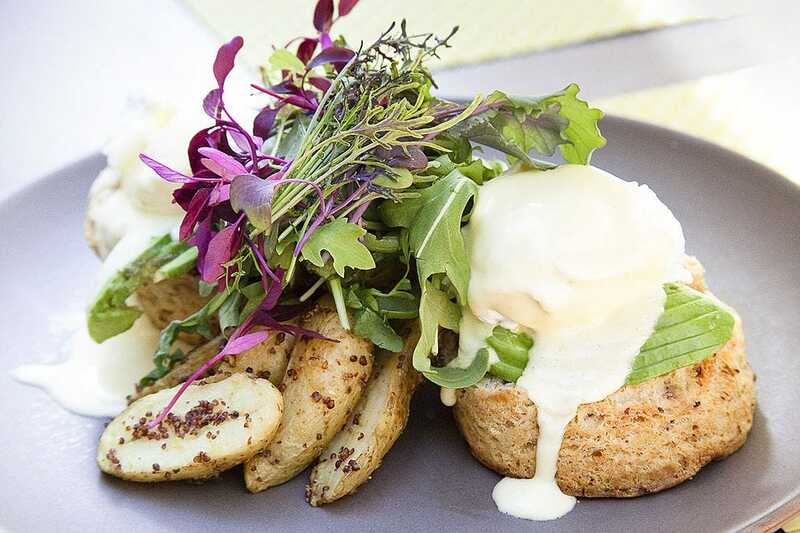 An epic brunch bar appears on weekends and features bottomless mimosas. And here's one extra fun fact about the Brewhouse: they also have a gourmet menu for your four-legged friends. That's right, you can bring Fido for a sunny meal on their patio and, while you're chowing down on a juicy burger, he can enjoy some tasty marrow bones or steak bites! Sama Sama Kitchen is a restaurant in downtown Santa Barbara that serves up satisfying, Indonesian-inspired dishes and cocktails for brunch and dinner. Exotic flavors like anise, cumin and starfruit are common here. 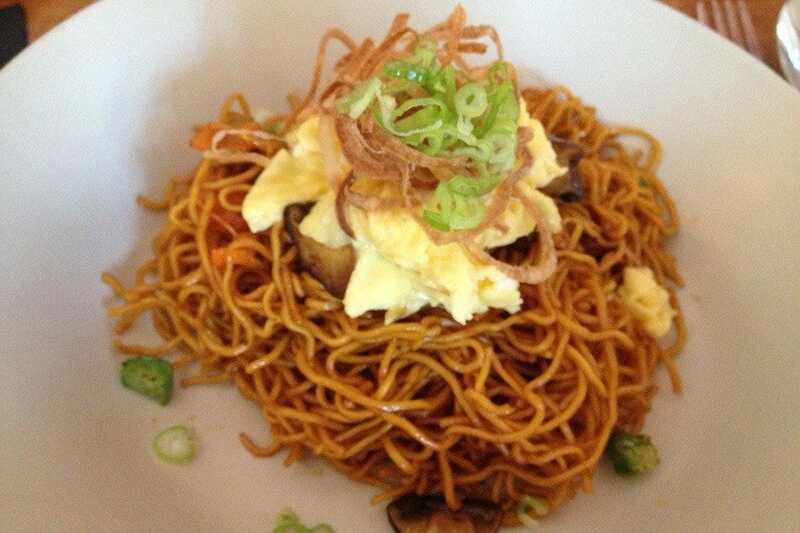 There are classic dishes, like chicken sate and nasi goreng, and unexpected ones, too. Curried poutine, anyone? Many of Sama Sama's ingredients are sourced from local farms. Enjoy bar or table seating, or choose to dine al fresco. There are a few small tables out front where you can watch the shoppers pass by, and there's also a large area out back with handsomely hewn communal tables, fresh herb and veggie gardens, and romantic twinkling lights. The Lark is a large, visually-impressive restaurant located in the heart of Santa Barbara's Funk Zone. 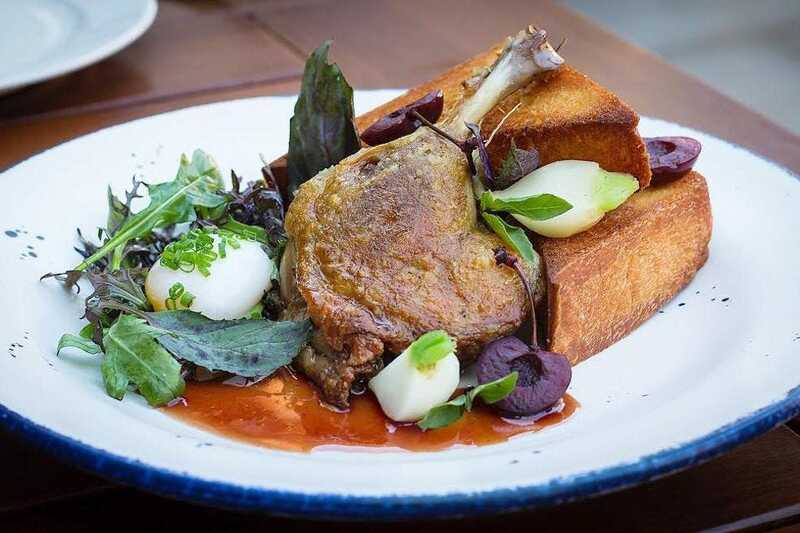 The menu here celebrates Central Coast fare, from fruits and vegetables to meats and wines. Food is intended for sharing and served family-style. There is a fun cocktail list, too. Indoor and outdoor seating. It is strongly suggested that you make reservations online well in advance. 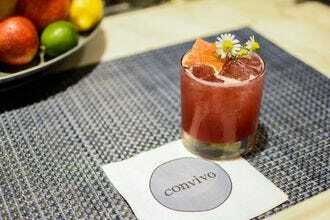 The Lark fills up quickly, but walk-ins may luck out and find a seat at the bar or the long communal table. Attached to The Lark is Les Marchands, a chic wine bar and market with select nibbles available. Valet parking onsite. Street parking and city lots nearby. Seafood doesn't get any fresher than this. 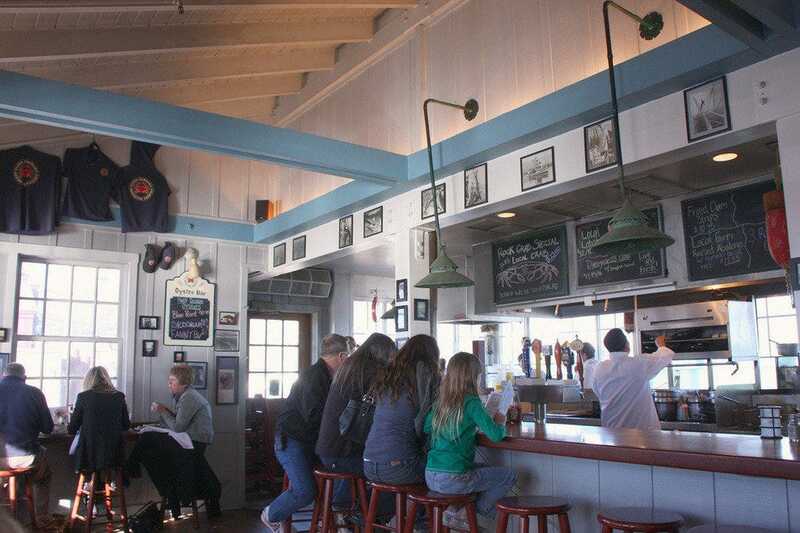 At the Santa Barbara Shellfish Company, you can pick your lunch right out of the tanks. 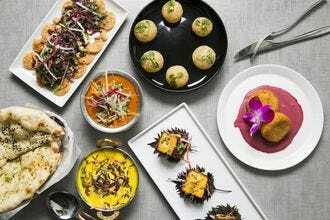 Established in 1980, this restaurant began as a shellfish shop before popular demand (and secret family recipes) transformed it into the bustling eatery it is today. Their menu includes all types of shellfish, but live abalones, crabs and lobsters - many locally sourced - are the real stars. Local and national beers are available on draft and pair nicely with a bread bowl of chowder on a cold or foggy day. There is bar seating inside, table seating outside and even a walk-up window for to go orders. 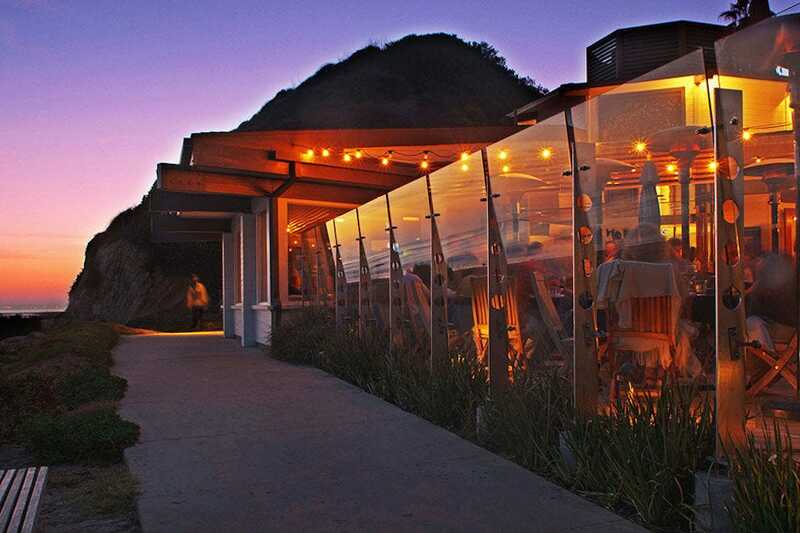 The Boathouse is a Santa Barbara seafood restaurant with the best location in town... it's right on the beach. Tucked away in a quiet part of town and facing Hendry's beach, this is a great place to go for a romantic date, family dinner or birthday celebration. 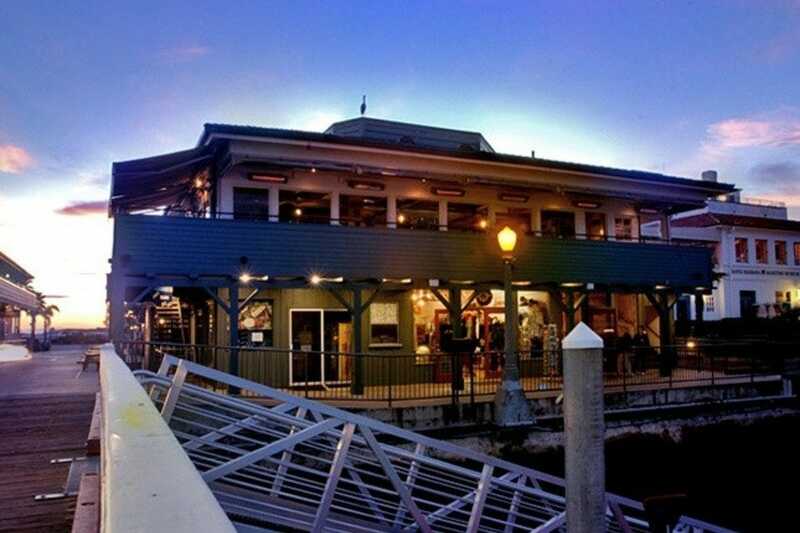 Enjoy fresh surf and turf on a beautiful patio that's sunny during the day and nicely heated at night. Locally caught seafood is served whenever possible. 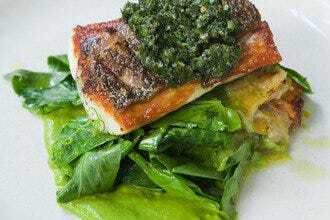 Fresh Santa Barbara catches include Spiny lobster and Dungeness crab. Brunch, lunch and dinner served daily. Happy hour is from 3 p.m. to close Sunday through Thursday, 8 p.m. to close on Fridays. Parking is free but does get crowded. Lively and animated, this Mexican restaurant is one of Santa Barbara's finest, thanks to homemade fare and fruit-tinged margaritas. 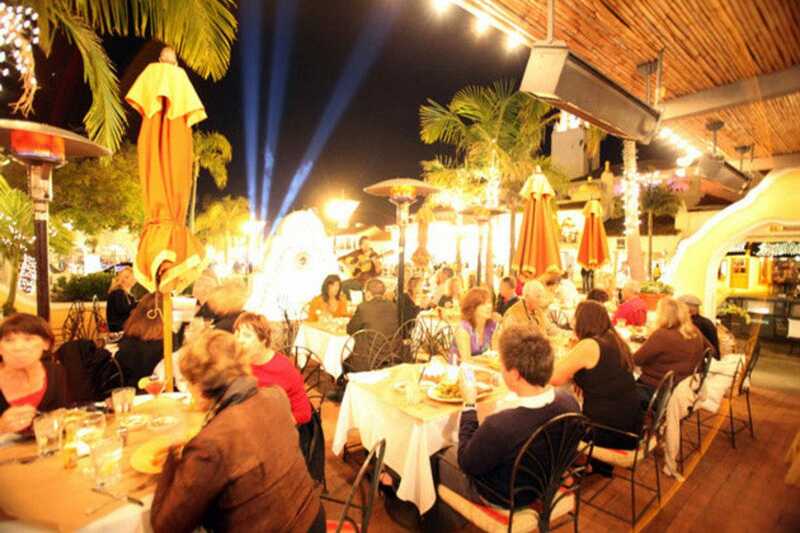 The fun outdoor patio is also a draw, right at the pretty end of downtown Santa Barbara. 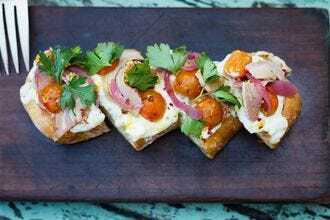 Much of the food looks familiar to Mexican aficionados, but it is eminently more sophisticated. For example, consider the mahi mahi fajitas, mole-dressed chicken, posole and grilled prawns. 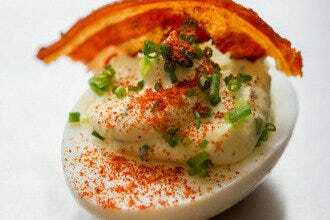 Adding to the appeal is a convenient location and a delicious Sunday breakfast menu. And again, the margaritas are spectacular. There is free parking in front of the restaurant. 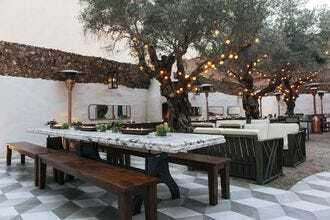 Carlitos is an offshoot of the also-popular Cava restaurant in Montecito. Try them both. Whether you're on vacation or just pretending you're on vacation, sometimes you all you want is a nice, relaxing lunch. Preferably in the sun, definitely with fresh regional fare, and perhaps accompanied by a sophisticated adult beverage, like a glass of local white wine. If this is the case, Paradise Cafe is the right restaurant for you. Just one block off bustling State Street, Paradise Cafe has been a local favorite for over thirty years. Their menu is typically Californian - fresh salads, local seafood, burgers... oh, the burgers! The Paradise's oak wood grill gives their patties a flavor that is hard to beat. On beautiful days, the serene garden setting of their patio is your most pleasant option, but there is also ample indoor seating and even a bar area for those in a hurry or dining alone. Unbeatable harbor views issue a siren's call to patrons at this popular restaurant. Of course, their menu full of delicious seafood doesn't hurt business either. Bustling and busy, Brophy Bros. serves up some of the city's most coveted clam chowder, along with awesome garlic baked clams and hefty portions of cioppino. Fresh, grilled fish is also a fine choice, along with a host of other fresh-from-the-sea options. Grab a table on the patio overlooking the water for the most romantic experience. These are the best seats, even on wet, gloomy days when they pull down transparent siding to protect you from the elements. Arrive early because weekend waits can be well over an hour.